Lee Davis and Larry Jones go way back. They grew up in towns 45 minutes away from each other, and while they knew each other it wasn’t until their college days at Auburn University that their friendship began. Davis and Jones were both Sigma Alpha Epsilon men and shared the same major. “You know once you start in Forestry, it’s all the same classes, so for two years you’re in every single class together,” Jones said. “You get to know each other and you get to know work ethic” Davis added. Upon graduation Jones and Davis started working at separate companies. After two years, the friends decided it was time to venture out on their own. 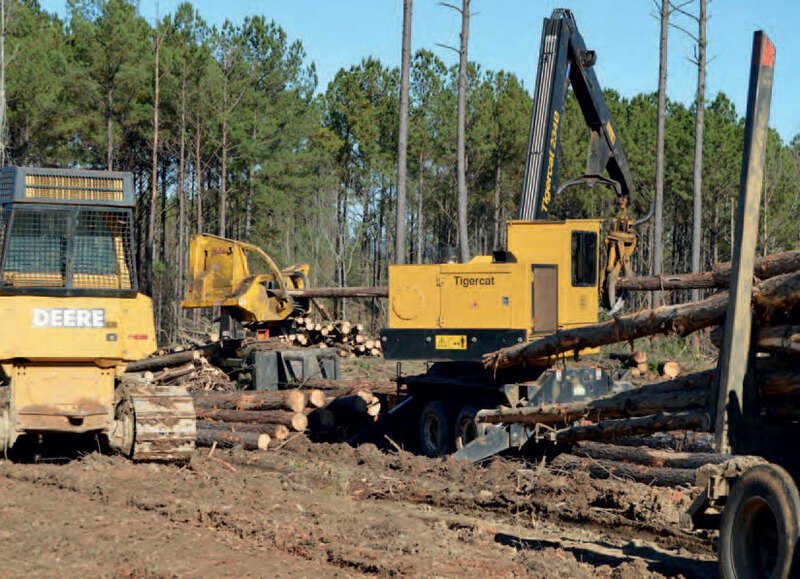 Central Alabama Timber Company Inc. opened in October of 1994, with the help of a third partner. “We were the sweat-equity and he was the capital,” said Jones. The company started out in timber procurement, but in 2001 branched out into manufacturing. They expanded the manufacturing operation in 2008 and again in 2014. The company, after a merger and several name changes, became IndusTREE Companies in 1999. 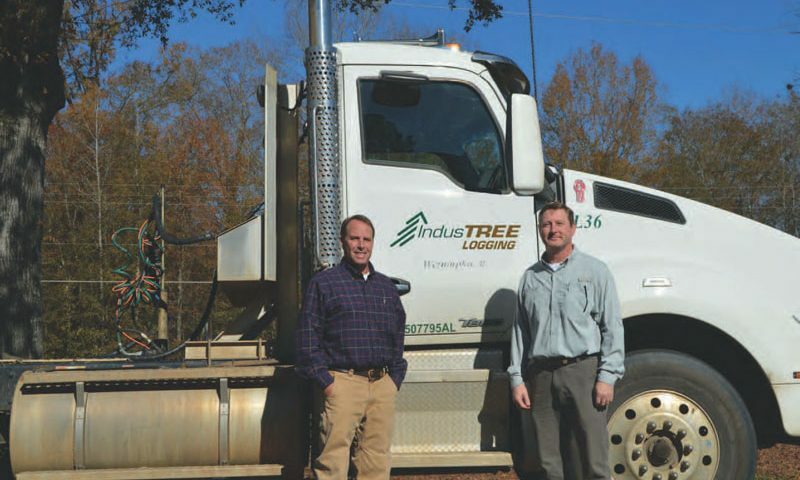 In the early 2000’s, Davis and Jones were feeling the financial strains of contracting with logging crews and in 2003, IndusTREE Logging was born. “You know we’re loaning a lot of money out to the contract loggers and had no real control of that, so we brought it in house and felt we could manage the business aspect of it…and it’s grown since then,” Davis said. 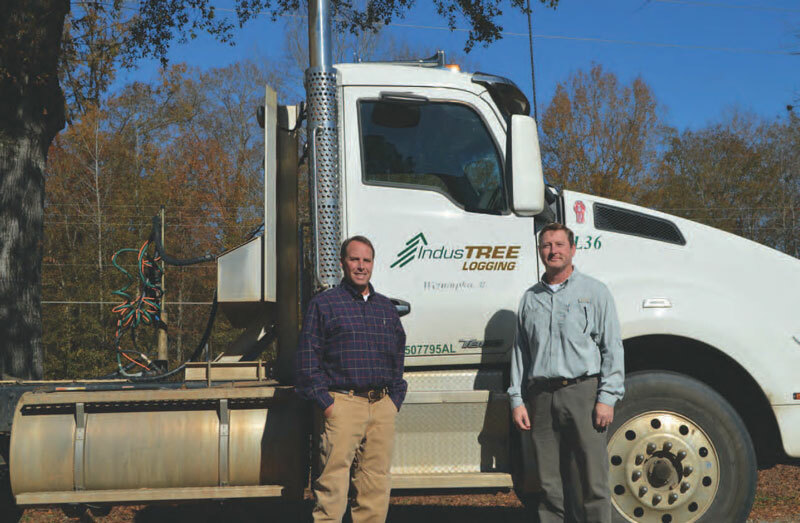 Over the years, IndusTREE Logging has acquired as many as 10 crews. As contract loggers found themselves in financially challenging situations or retired, Davis and Jones would buy them out and bring on some of their personnel. 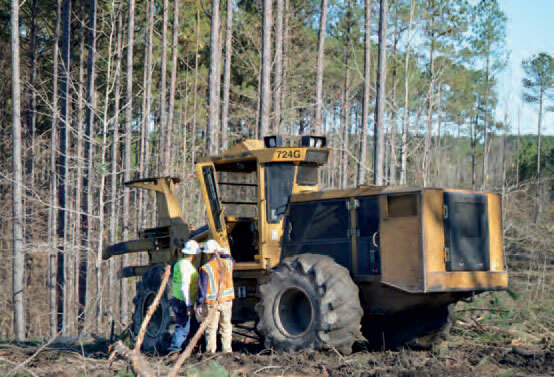 The company has 38 dedicated logging crews, eight of which are company owned and 30, who are contracted. 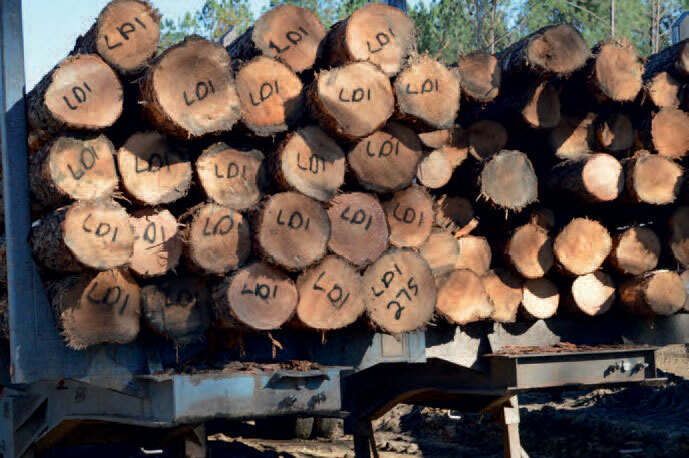 While making logging a core part of their business was a decision they made years back, they believe more and more companies will begin to do the same in order to see a return on investment. “I think we were just ahead of the times a little bit. Whether it has given us an advantage or not I don’t know yet… Unfortunately [for the contract logger], I think we’re going to go to a corporate logging structure. I just don’t see it reversing back. One new piece of equipment is about $275,000, and you have three machines out there. You’ve got a million dollar investment right out-of-the-gate. Once that generational gap breaks, ‘my grandfather did it, my father did it, now I do it’, I don’t see it turning back and people getting back into logging anymore,” Jones said. Each crew is set up with a loader, a skidder and a cutter. Traditionally there are three members to a crew, while some have an extra person. Half of the crews hot load, while the other half set-out trailers. Last year, IndusTREE shutdown a crew in south Alabama, but that hasn’t slowed production. “Typically you truck to the number of crews you have, but with the challenge of trucking over this past year, we actually lowered the number of crews to fit the number of trucks that we have which is kind of backwards thinking, but in the challenge to hire good drivers that is just what we had to do” Davis said. The tracts are stacked and waiting to be thinned and clear cut but a trucking shortage throws a wrench into this well oiled machine. “There’s really just no surge anymore is the best way I can put it in terms of the trucking capacity. In other words if it rains Thursday, which it is supposed to this week, now we’ve got to make up that day and unless we can do 20% more the other four days, you never get that day back. We used to be able pick the phone up and call some people and over the night time find a couple of trucks to run in there tomorrow and catch us up the next day, but now it’s just you’ve lost that load. On the dead perfect day we might get 5-10% more than we would on a marginal, day but you just can’t make it up anymore,” said Jones. 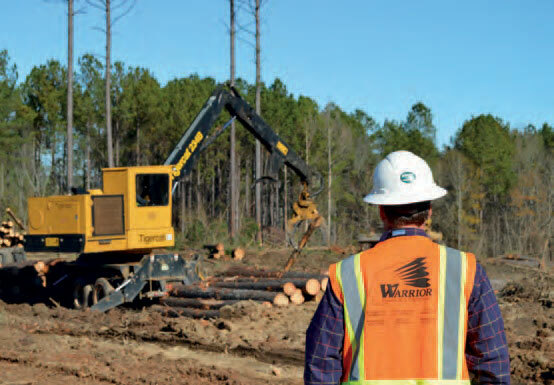 “One thing that I think we got our foresters to realize is the need for these company crews because it is so hard to go out and pick up a contract crew. So, I think they are little more focused on what they’re buying, what the crews can succeed on. They try to buy while being mindful of short distance truck hauling, volume per acre, the type timber they are buying and the markets we supply. We miss out on tracts sometimes because we are trying to buy that tract that we know the timber company, the logger and the truckers can win on, because if one of them is consistently not winning, you’re going to have a break in that supply chain. So it’s been more of an emphasis over the last several years to try to buy and cut the tracts of timber that are good for everybody,” said Davis. 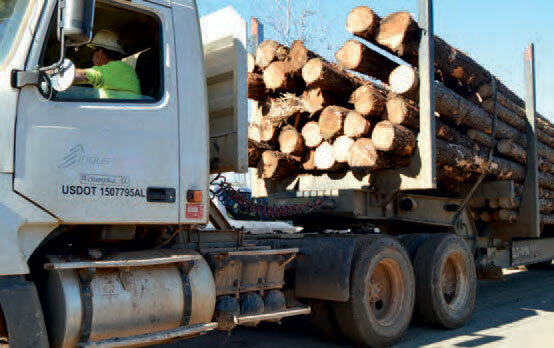 Currently, IndusTREE Logging owns 24 trucks and contracts between five and six more. They also have 62 log trailers. They run Magnolia, Pitts and McLendon trailers with Kenworth trucks. 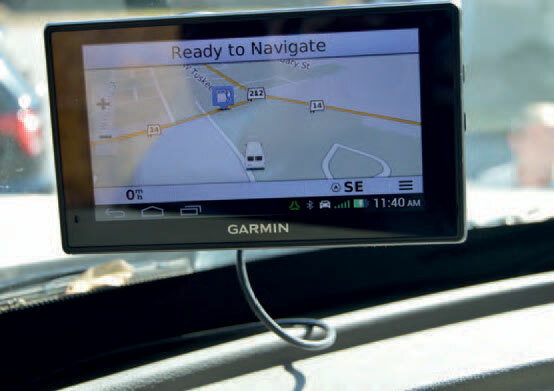 The company trucks are serviced in a shop around Titus and Goodwater, but plans are underway for the building of a new shop down the road from their current headquarters in Wetumpka. IndusTREE purchased 10 of their 62 trailers just last trailers have disc brakes that are expected to last three years. “A regular set of brakes, you replace twice a year, so you are paying for labor and new brakes often, and it’s a little more cost up front [to use disc brakes], but you save it in weight. We offset those disk brakes with a little heavier gauge steel bolster on the trailers and you know that equaled out, so we didn’t really add a lot of weight,” Davis said. The width of the trailer has expanded as well and now measures 102 inches. Each trailer is outfitted with scales that can be configured with any truck. “So technology has improved in that. We’ve had quite a challenge with the last round of trailers, the design and how they had a lot of the wiring for the scales. Mud, limbs and vines made it a maintenance nightmare. So we’re hoping these new trailers will be better,” Davis said.